Computer code that can turn almost any device that connects via USB into a cyber-attack platform has been shared online. One of the experts who found the flaw said the release was a "stark reminder" of its seriousness. "We're releasing everything we've done here, nothing is being held back," said Mr Wilson in a presentation at DerbyCon. "We believe that this information should not be limited to a select few as others have treated it," he added. "It needs to be available to the public." Responding to the release of the attack tools Mr Nohl told the BBC that such "full disclosure" can motivate companies to act and make products more secure. 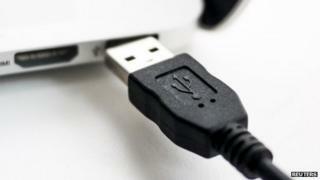 "In the case of BadUSB, however, the problem is structural," he said. "The standard itself is what enables the attack and no single vendor is in a position to change that." "It is unclear who would feel pressured to improve their products by the recent release," he added. "The release is a stark reminder to defenders, though, that BadUSB is - and always has been - in reach of attackers." Has the flawed password system finally had its day?